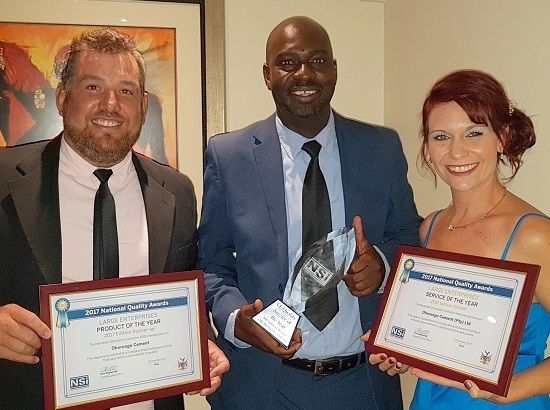 Ohorongo Cement added two more awards this week to its impressive gallery of industry awards. On Thursday evening, the cement manufacturer was named the best in service, and the runner-up in product, in the Large Enterprises category The awards were conferred at the annual National Quality Awards. 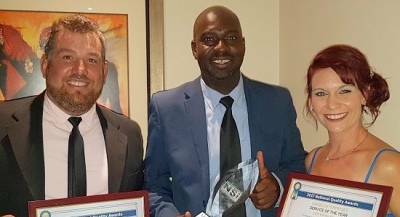 Winning the Large Enterprises Service of the Year award reflects the company’s ability to consistently deliver service excellence on top of consistently producing a world class product. As the only local cement manufacturer, Ohorongo said it produces five types of cement for different applications. This is backed by an unprecedented level of service, supported by its fully equipped analytical, concrete and physical laboratory. The company provides technical support services to the local industry as required, and is actively involved in various projects. “As part of our continuous improvement process, we at Ohorongo set ourselves up against the best standards. We use them to fine-tune our performance, while operating in more efficient and sustainable ways,” said Hans-Wilhelm Schütte, the Managing Director of Ohorongo Cement. In 2016, the Namibia Standards Institution certified Ohorongo Cement’s five cement types for full compliance with the NAMS/EN 197 standard. The company is also one of only a few cement manufacturers globally to receive the ISO 9001:2015 certification for quality management. Ohorongo said it has invested more than N$3 billion in its cement plant near Otavi, with an annual production capacity of around one million tons. This is sufficient to supply the local market and neighbouring countries. The state-of-the-art factory is one of the most energy efficient and environmentally friendly plants in Africa. Since 2011, the company has received numerous top class industry awards.